Advocate Ajay Agrawal, who contested the 2014 Lok Sabha election from Rae Bareli against the then Congress president Sonia Gandhi, has also filed an application seeking recusal of Chief Justice Dipak Misra from hearing the matter. 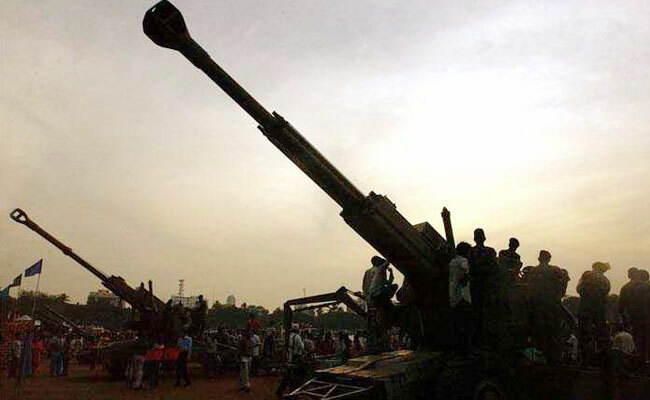 New Delhi: A crucial hearing is listed for tomorrow in the Supreme Court in the politically-sensitive Rs 64 crore Bofors pay-off case in which a BJP leader, who is pursuing the matter for over a decade, has been asked to explain his locus in filing petition as a third party. The appeal filed by him against the May 31, 2005 judgement of the Delhi High Court quashing all charges against the accused persons is listed for hearing tomorrow before the bench comprising Chief Justice Misra and justices A M Khanwilkar and D Y Chandrachud. During the last hearing on January 16, the bench had asked Mr Agrawal to explain his locus in filing the appeal and satisfy it how could the matter be entertained at the instance of a third party. Later, he filed an application seeking the CJI's recusal alleging that the chief justice was "prejudiced" and "bent upon" dismissing the case without going into the merits. Today, Mr Agrawal filed an affidavit alleging that the CJI was under tremendous pressure from the Congress because of the impeachment motion being discussed by the opposition parties and claimed that senior advocate Kapil Sibal was taking a lead role in all those deliberations. "Deponent understands and have highest regards for his lordship CJI but because of these sequence of events an inference is reached that CJI is under tremendous pressure from the Congress because of the impeachment motion being discussed by the opposition parties. "Kapil Sibal is taking a lead role in all those deliberations as could be seen in all the annexed news items and the same person had appeared without any authority before the court and made a false statement that he appeared for late Shri Rajiv Gandhi while deponent found that he appeared for Hindujas before the Supreme Court and the Delhi High Court on many occasions," Agrawal said in the affidavit. While seeking recusal of the CJI, the BJP leader referred to the January 16 hearing to draw an inference that the bench headed by the CJI would, in all likelihood, dismiss the appeal filed by him against the May 31, 2005 judgement of the Delhi High Court discharging all the accused in the case. At the last hearing, he had said, Mr Sibal was allowed to speak even after he objected to it. He said the CJI did not stop Mr Sibal from interfering in the matter. The lawyer said there were at least three occasions during the hearing when the court was about to dismiss the matter because of Mr Sibal's "unwarranted" interference. A special CBI court in Delhi on March 4, 2011, had discharged Quattrocchi from the case saying the country could not afford to spend hard-earned money on his extradition which had already cost Rs 250 crore. Quattrocchi, who had fled from here on July 29-30, 1993, never appeared before any court in India to face prosecution.